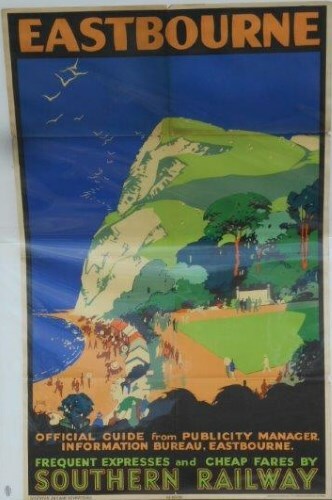 Lot 155 D/R Poster 1932, Southern Railway "Eastbourne" by Leslie Carr. A view along the seafront with the cliffs in the background. Good folded condition.